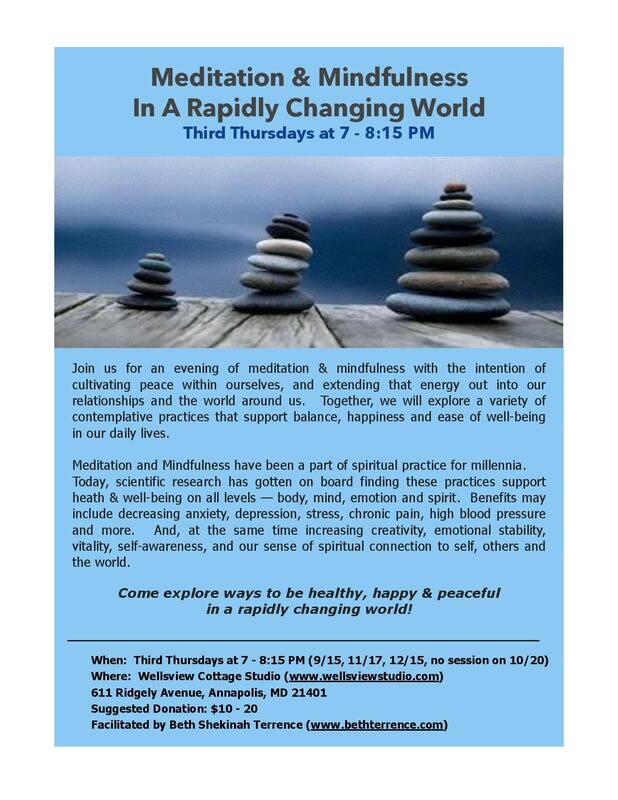 Third Thursdays at 7 – 8:15 PM (9/15, 11/17, 12/15, no session on 10/20) at Wellsview Cottage in Annapolis. 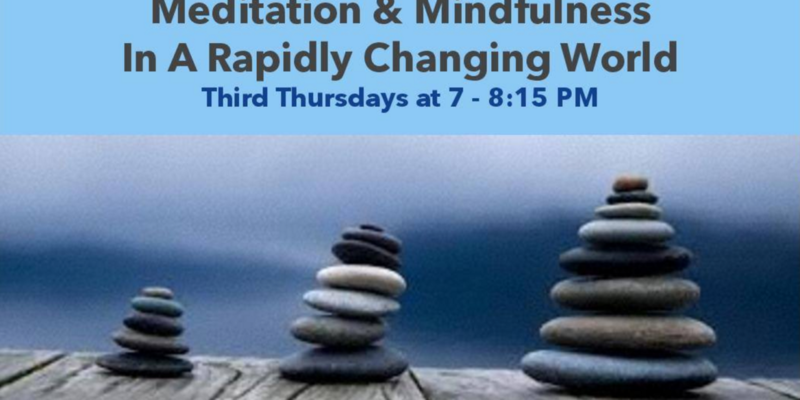 Join us for an evening of meditation & mindfulness with the intention of cultivating peace within ourselves, extending that energy out into our relationships and the world around us. Together, we will explore a variety of contemplative practices that support balance, happiness and ease of well-being in our daily lives. 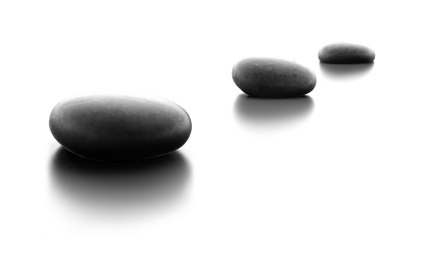 Meditation & Mindfulness have been a part of spiritual practice for millennia. Recently, scientific research has gotten on board finding these practices support heath & well-being on all levels – body, mind, emotion and spirit. Benefits may include decreasing anxiety, depression, stress, chronic pain, high blood pressure and more. And, at the same time increasing creativity, emotional stability, vitality, self-awareness, and our sense of spiritual connection to self, others and the world. Come explore ways to be healthy, happy & peaceful in a rapidly changing world!